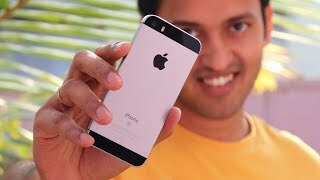 Apple is all set to release a smaller version of the iPhone 5S titled as the iPhone SE. When it comes to Apple phones, it’s difficult to find the latest phones from Apple that are available under AED 2000 . 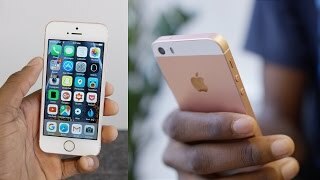 However, things are expected to change with the upcoming iPhone SE. As this new phone will be available from a slightly lower price range, some of the similar models from Apple in this pricing range are expected to cost even lower. 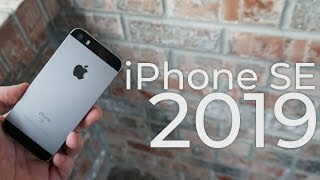 Continue reading to learn more about the smartphone including the Apple iPhone 5se. As mentioned earlier, the iPhone SE is small in size and feature a 4-inch screen. While it’s named after the iPhone 5S, there is a slight change in design as well like the finished matte edge design. Unlike the iPhone 5, there is a change in the power button of the phone as well. Other than these, the phone looks exactly like the iPhone 5 and there are almost no major changes that you will find at first glance. While the iPhone 5S was way to shiny and scratchy, the upcoming iPhone SE includes less scratchy materials. The display will include curved cover glass with metal casings around the phone. A 1624mAh battery will be powering up the phone which is slightly disappointing. One of the major negative issue with most of the phones nowadays is its battery life. The latest iPhone is expected to offer improved battery life. The main attraction of this phone is its smaller screen which would attract users that are still looking for phones with small screen in the smartphone market. Most of the smartphone makers are aiming for bigger, tablet like phones so it’s definitely a relief to finally see a phone with small screen. Just like the iPhone 6s, this special edition phone will be packing the latest A9 processor with some of the similar features including Live photos. The A9 processor is 64-bit enabled and is accompanied by M9 motion coprocessor. To make sure you get to enjoy the features of Siri whenever you want, it comes with Always-on “Hey Siri” feature. One of the major disappointing thing about the phone is that it does not include the latest 3D Touch technology like the latest iPhones. As phones from other manufacturers are thinking about adding this new 3D Touch technology feature as well, this is definitely disappointing. 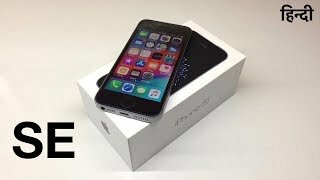 iPhones are always popular when it comes to offering smooth performance and this one should be able to fulfill all those expectations with its A9 processor. This phone will be two times faster than it’s cousin, the iPhone 5S which was released way back in 2013. 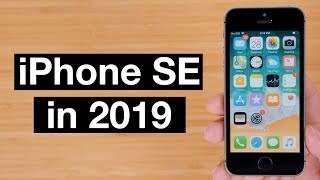 There will be three different colors to choose from if you are eagerly waiting for the iPhone SE release date UAE, grey color, gold and silver. If you are interested to check out some more compact sized phones in the same pricing range as the iPhone SE Dubai price, there is the Sony Xperia Z5 Compact and Samsung Galaxy A3 you can try. One of the disappointing part of this phone is its front camera. It’s only 1.2-megapixel front camera which is really not acceptable for selfie lovers. Although it’s only a 1.2-megapixel camera, it will be still capable of capturing 720p videos at 30 fps. Other features of this front camera are FaceTime over Wi-Fi or cellular, HDR and face detection. The phone will use the screen as flash when taking selfies which is a feature seen in most of the phones nowadays. However, it’s not the same for the rear camera and it’s expected to be the 12-megapixel one that we saw in its big brother. Like the iPad Mini, this 12-megapixel camera will be capable of capturing 4K videos. As more and more cameras are offering this 4K video capturing feature, it’s definitely a welcoming feature in the new iPhone. While everything sounds good megapixel wise, it will be interesting to see how these camera performs in real life when the iPhone SE is here. Users will be able to take panoramas which will be a 63-megapixel one. Other than these, the phone is expected to include Apple Pay Support, all the standard connectivity options and two storage options: 16 and 64 GB. It’s slightly disappointing that there is no 32GB built-in storage available. For those who are looking for a good camera phone without waiting for the iPhone SE release date UAE, there is the Samsung Galaxy S7 Edge that you can check out. 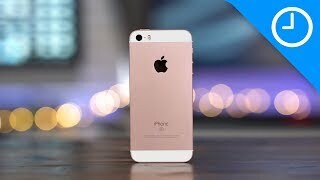 With the release of the iPhone SE, the company is releasing their latest iOS 9.3 operating system as well. It’s not only the phone that will get fast. The LTE speeds and Wi-Fi speeds has been improved as well and will offer better performance. To make sure users get to enjoy the latest Apple Pay feature, an NFC chip has been included inside the phone. Apple Pay is getting popular nowadays as a way of secure payment and now you get to use that in the latest iPhone SE as well. Some of the other notable features of this phone are: new microphone with active noise cancellation, Siri natural language command, TV-out and iCloud cloud service. This is where things get better. 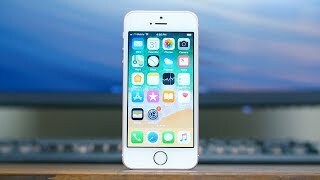 As mentioned earlier, most of the iPhones are too pricey which turns into a deal breaker for most of the people who are willing to buy a smartphone. However, the starting price of this phone will be around AED 1600 . The 64GB built-in storage version will be available for about AED 2000 . 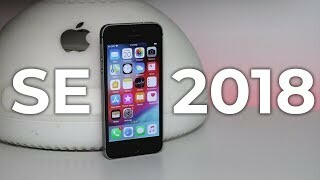 The iPhone SE will show up this 31 March, 2016 and will be available in about 100 countries at the end of May. Price has increased 5% from AED 1599 on 2017-07-01 to AED 1679 today.